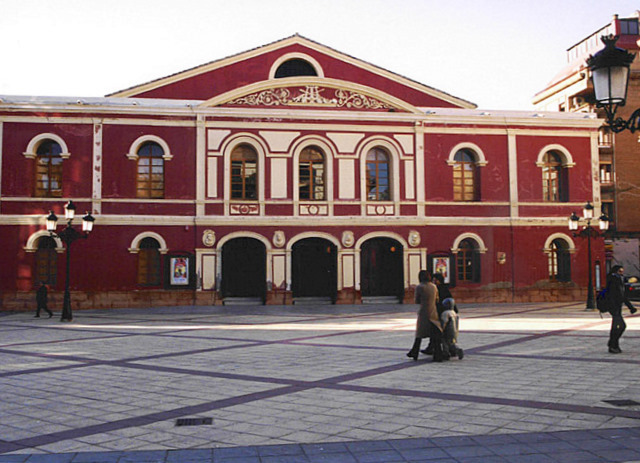 The square is located in front of the Teatro Guerra in the centre of Lorca The Plaza Calderón de la Barca is the square located in front of the Teatro Guerra and alongside Calle Lope Gisbert in the historic city centre of Lorca, and is often used as a venue for outdoor cultural events, especially during the summer months. 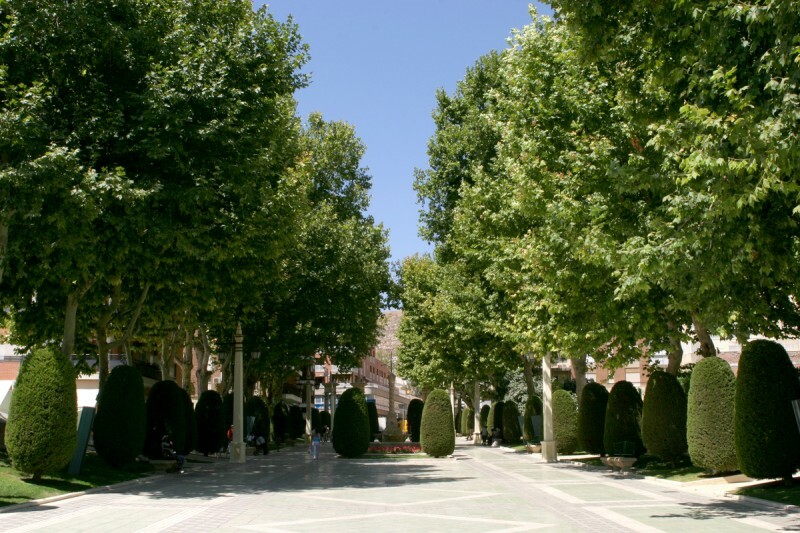 This square, which is lined with trees on three sides and is partially occupied by the outdoor terraces of bars and..
A tree-lined avenue and public park near the city centre of Lorca The tree-lined pedestrian boulevard of Alameda de la Constitución is one of various which exist in the south-eastern outskirts of Lorca, and the same name is now used to encompass the whole of the area around it, including other “Alamedas” and a large public park area. 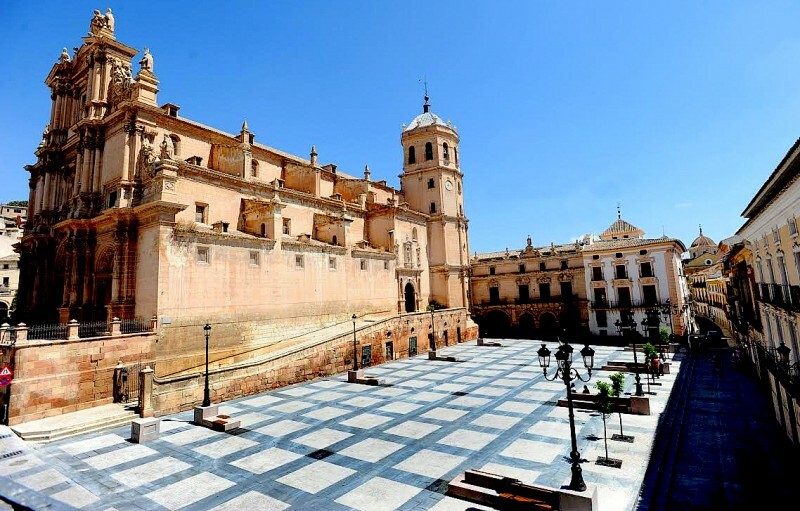 This park, despite being situated only a couple of hundred metres from the bustling city centre, is..
Buildings representing religious and political power cluster around the main square of Lorca The Plaza de España is the main central square in Lorca, and is surrounded by various of the oldest, largest, most important and most impressive buildings in the historic city. Chief among these are the Town Hall, or Casa Consistorial, which dates from the 18th century, and the former Collegiate Church of San Patricio, which was built over a period..
Musical academy offering all levels of musical tuition Conservatorio de Música "Narciso Yepes" Calle Abad de los Arcos, 2 - Apdo.98 Tel: 968 44 15 14 Fax: 968 44 10 65 30800 Lorca. 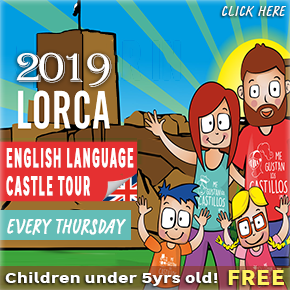 (Murcia) Emails: Management: direccion@conservatoriodelorca.com Administration: administracion@conservatoriodelorca.com Click here to see other cultural centres in Lorca as well as a full cultural agenda and further information.. 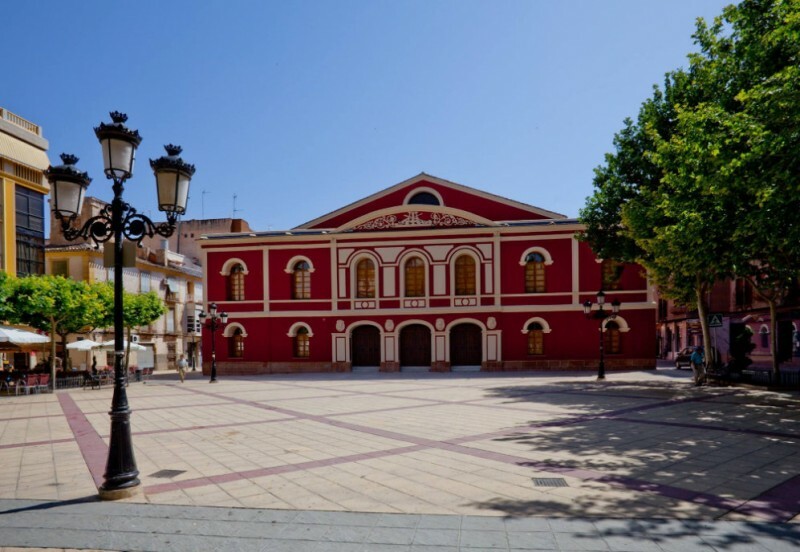 The square is named after the last private owner of the Palacio de los Guevara in Lorca The Plaza de Concha Sandoval is the square located next to the Palacio de los Guevara in Lorca, alongside Calle Lope Gisbert and the main post office in the city. 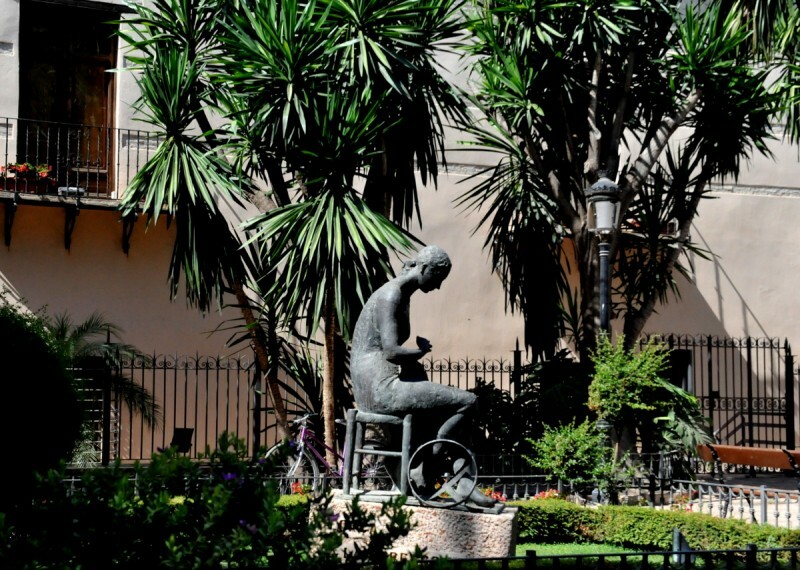 In the square is a sculpture dedicated to the women who over the course of generations have created the embroideries of Lorca and helped to make the Semana Santa celebrations an Item of International.. The Franciscan Order built their first church in Lorca on the remains of a Moorish palace The convent and Sanctuary of the Virgen de las Huertas is outside the city centre of Lorca, on the southern side of the River Guadalentín, and is devoted to one of the patrons of the city, a legendary apparition of the Virgin Mary in the 13th century. 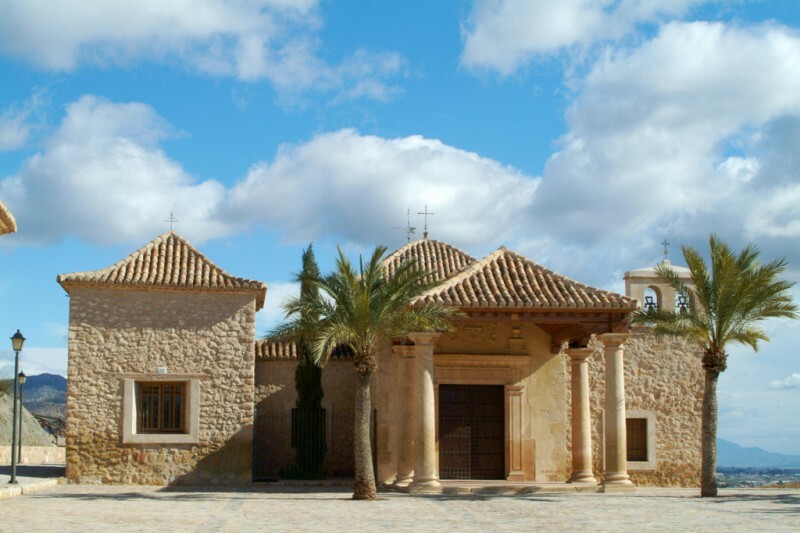 This is the only remaining functional Franciscan monastery in Lorca, and has acquired further significance.. 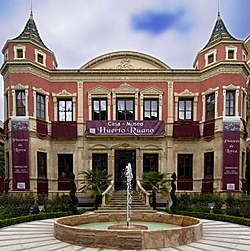 The Artistic and Literary Casino of Lorca was built in the late 19th century It is a common misconception among native English speakers that the word “casino” refers exclusively to a place for gambling, but in Spain these institutions first emerged as a place in which members of the upper classes, almost always men, could meet, gather and discuss important ideas as well as promoting the spread of cultural activities and education. This..
A pleasant pedestrian square opposite the MuBBla embroidery museum in Lorca The Plaza Saavedra is one of many pleasant leafy squares in the city of Lorca, and is located between Calle Santo Domingo and Calle Marsilla, opposite the Capilla de Rosario and MuBBla, the Semana Santa embroidery museum of the Paso Blanco. 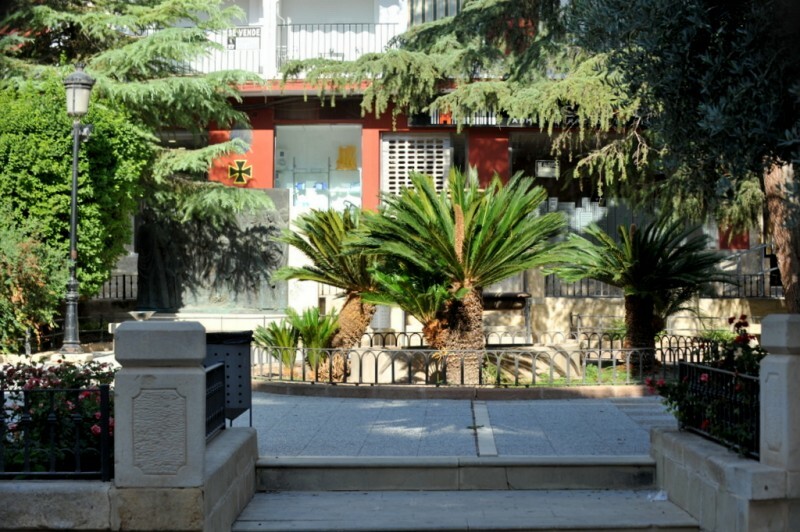 The plaza itself is a small leafy plaza, with plenty of shade and is a good meeting point for those visiting the museum.. 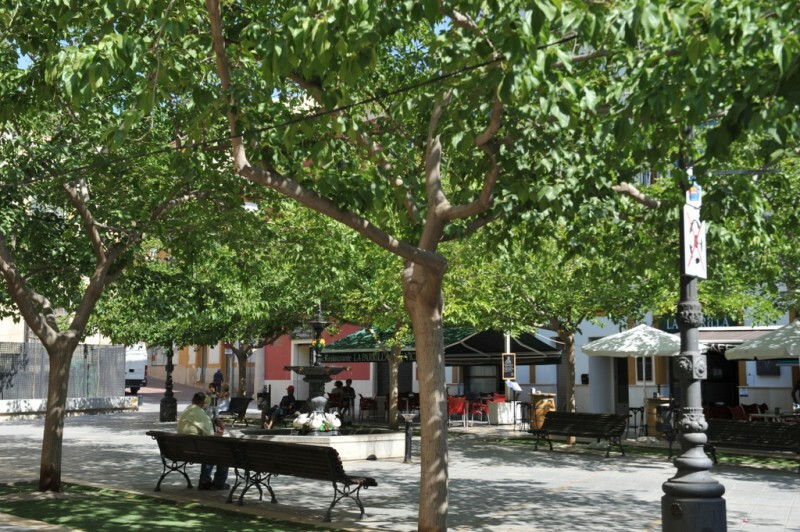 The square in the centre of Lorca contains a statue in honour of the patron saint of Valencia The Plaza de San Vicente is the name given to the square between Calle Corredera and Calle Lope Gisbert in the historic centre of the city of Lorca, alongside which stands the Casa de los Marín Ponce de León and a statue of San Vicente Ferrer. The statue is placed on top of a replica of a Roman milestone which previously stood alongside the Via..
A little known location which should be on the map for every visitor to Lorca In Lorca the traditions of Semana Santa, or Easter Week, run especially deep, and perhaps this is nowhere better illustrated than in the small church known as El Calvario which stands on a rocky outcrop just outside the northern edge of the city. 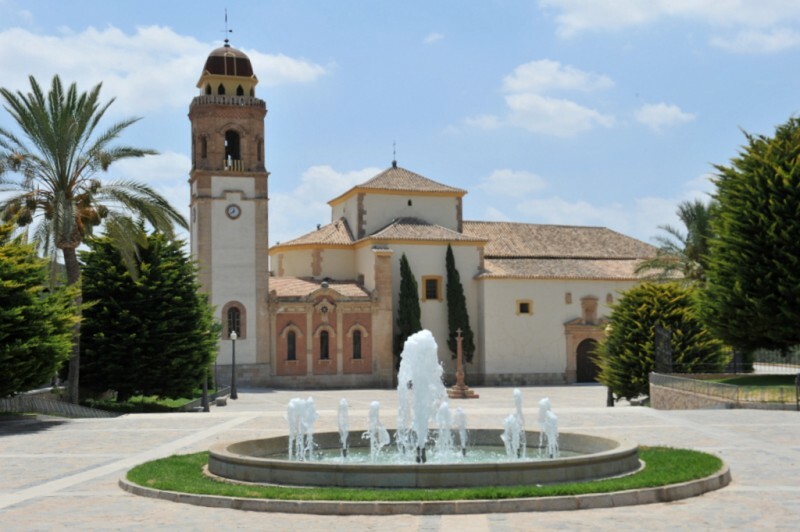 El Calvario, or Mount Calvary, is the last of the 14 Stations of the Cross on the Via Crucis route which is followed..
Lorca cultural centre This is the municipal cultural centre, and is located in calle Presbítero Emilio García s/n. 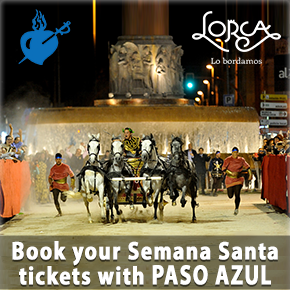 This centre is used for both cultural events and activities, as well as housing the municipal concejalías of culture and festivities. The ground floor hosts a regular programme of exhibitions and the basement also holds a study room. 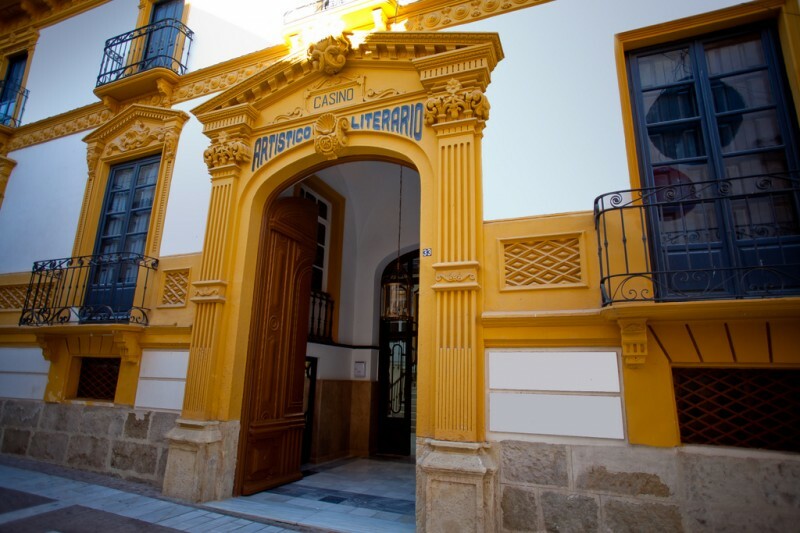 The third floor has a children’s library and the first floor a Salon de actos which.. 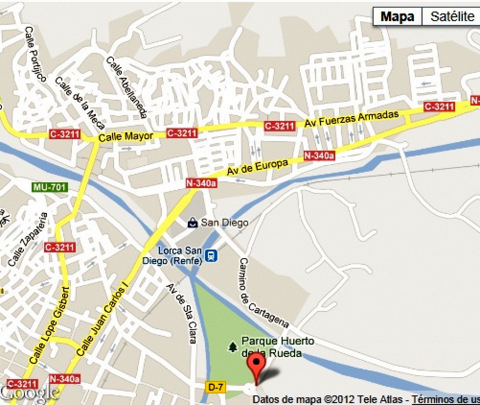 The Recinto ferial hosts exhibitions, concerts, conferences and populous events The Recinto Ferial Sta. 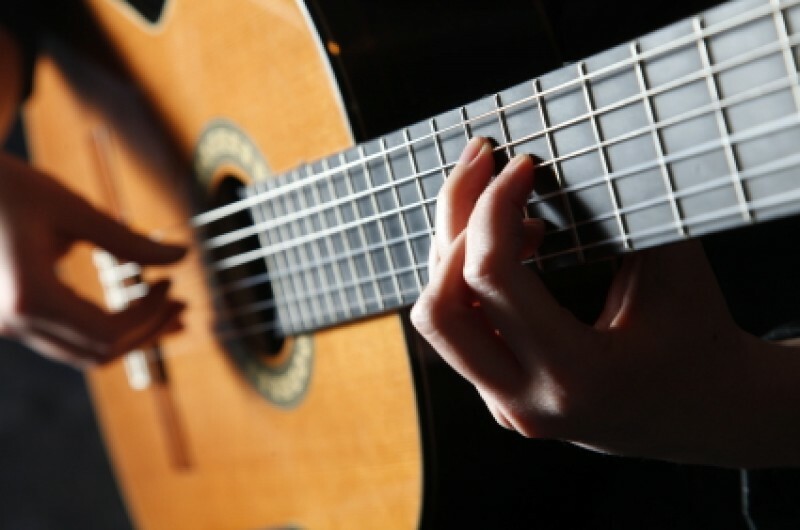 Quiteria is located on the edge of the Parque Huerto de la Rueda in Lorca, and is a venue used for large scale events, conferences and concerts. 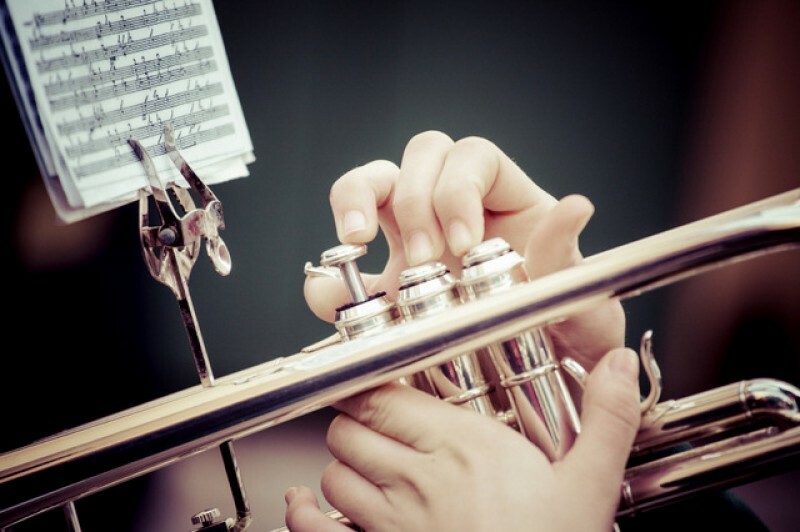 The recinto hosts annual exhibitions and is located next to the area which holds fairgrounds during major fiestas and the annual feria, as well as being used for events such as folk festivals and.. The Huerto Ruano is the best example of Modernist and Eclectic architecture in Lorca The Palacete Huerto Ruano is one of the more recent palatial residences built by the wealthy and the aristocracy in Lorca, and dates from the 19th century, when Raimundo Ruano brought back to the city a taste for the architecture and culture of Edinburgh, where he had been away for a while in the course of his work. 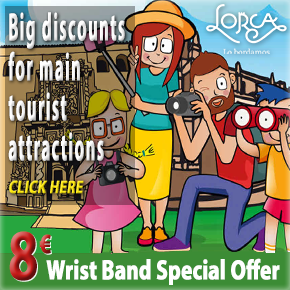 The result is an eclectic Modernist building..
Teatro Guerra Lorca, ticketing information and map The Teatro Guerra holds the distinction of being the oldest theatre in the Region of Murcia, having opened in its current format in 1861. 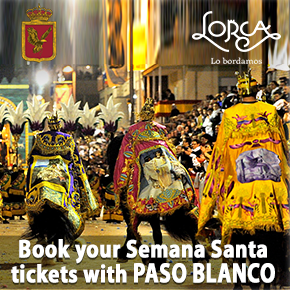 It's a typical architectural building of the period, with a central courtyard, and is lavishly decorated with paintings by lorquian artist, Muñoz Barberán The Box Office is open from Monday-Friday 11am-2pm and in the evenings between Monday and Thursday..